Debbie, a blogger over at Debbiedoos, has a cozy rocking chair porch. 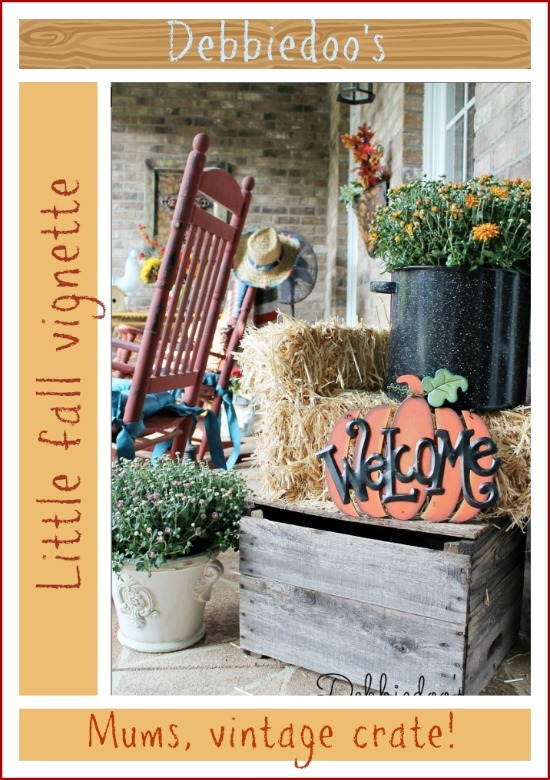 Debbie lives in the Carolinas and celebrates autumn on her porch by creating a fall vignette of pumpkins, mums in enamel ware, a vintage crate and plenty of other autumn touches. I especially like the autumn tablescape she created on her metal side table: a sweet rooster, a pitcher of colorful autumn flowers and a dainty birdhouse that I bet she stenciled herself. 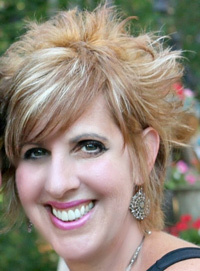 We had the pleasure of asking Debbie some questions about her blog, her porch and lifestyle. Mary and Dave: How did you decide upon the name of your blog, Debbiedoo's? Debbie: It was a childhood nickname given by my grandfather and it just seemed fitting to carry it on. 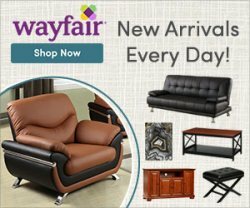 Mary and Dave: What is the main theme of your blog? What message do you want to share with your readers? 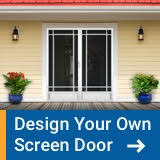 Debbie: DIY, thrifty home decor and think outside the box ideas. Always try something new and a little outside your comfort zone, it just may surprise you. 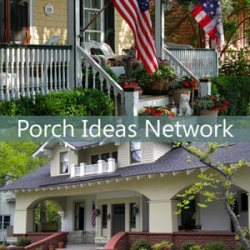 Mary and Dave: Tell me about your porch and how you and your family spend time on the porch? Debbie: We live in the Carolinas and I love the history of a front porch, watching kids catch fireflies and sipping on some sweet tea. We even painted the ceiling Haint blue to carry on Southern traditions. 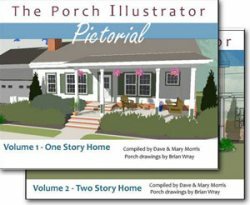 Mary and Dave: Do you have a special porch memory to share? Debbie:Yes, when we first moved to the Carolina's 7 years ago, our boys ran around the front lawn catching fire flies. They had never seen them before. Ironically this year in my son' high school marching band, the theme is fire flies. All about childhood memories of catching them. 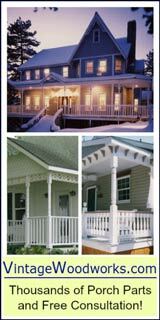 Mary and Dave: Any advice for decorating a porch for homeowners not so savvy about decorating? 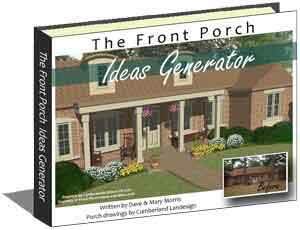 Debbie: When you step on a front porch, you want the feeling of welcome, come on in, we truly want you here. 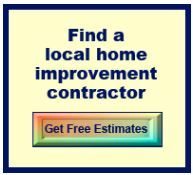 Mary and Dave: Anything else you would like to share about your blog, or tell us about your hobbies, family, etc. Debbie: I love what I do, and I love what I share. I feel it truly reflects who we are and what we love. Each of us are very different, however, blended as a family makes it interesting at dinner time. We all have something different to share and talk about. 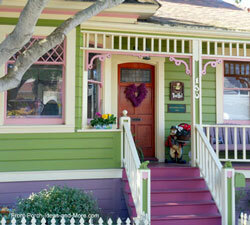 Our many thanks to Debbie from Debbiedoos for telling us about her diy blog and her perspective of life on the porch. 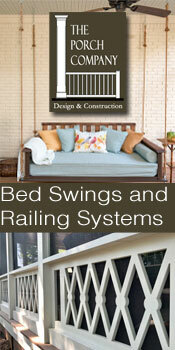 Debbie shares low cost diy projects and decorating ideas that are quick and easy. 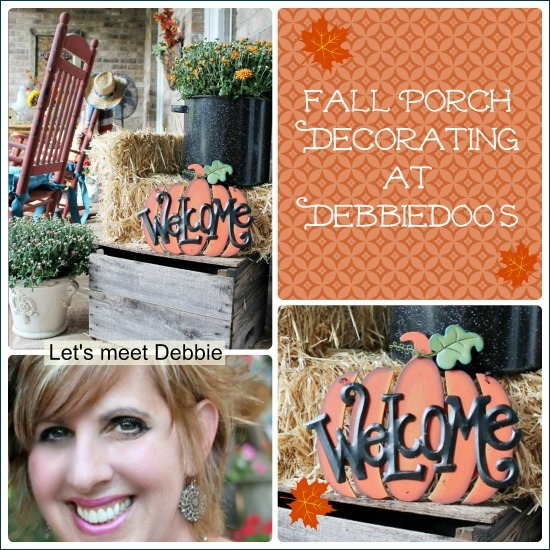 Enjoy more pictures and details of Debbie's fall porch decorating on her blog, Debbiedoo's.